The UFO & Paranormal Research Society is dedicated to the study of UFO, paranormal and related phenomenon so that we may better understand the Universe and our role within. The Navajo Reservation in Arizona had long had reports of all manner of strange goings-on beyond the scope of what ordinary law enforcement is trained to deal with, including ghosts, Bigfoot, UFOs and the shape-shifting creatures known as Skinwalkers. Rather than dismiss these cases, the Navajo Reservation assigned a special branch of their police department to look into them, consisting of a group of specially trained federal officers who also handle more mundane matters. Although paranormal reports account for less than 1% of cases, they are taken seriously and recognized as worthy of investigation. Jonathan Dover will join us in April to share the inner workings of the Navajo Rangers, along with some of his most intriguing cases. Dover is a retired 31-year law enforcement veteran who has worked with the Winslow Arizona Police Department, the Navajo Historic Preservation Department, the National Park Service and the Navajo Nation Rangers. Elana Freeland is a writer, speaker and teacher best known for her books Chemtrails, HAARP, and the Full Spectrum Dominance of Planet Earth (2014) and Under An Ionized Sky: From Chemtrails to Space Fence Lockdown (2018). Elana has also written a 4-book fictional series called Sub Rosa America: A Deep State History about the hidden history of America since President Kennedy's assassination. 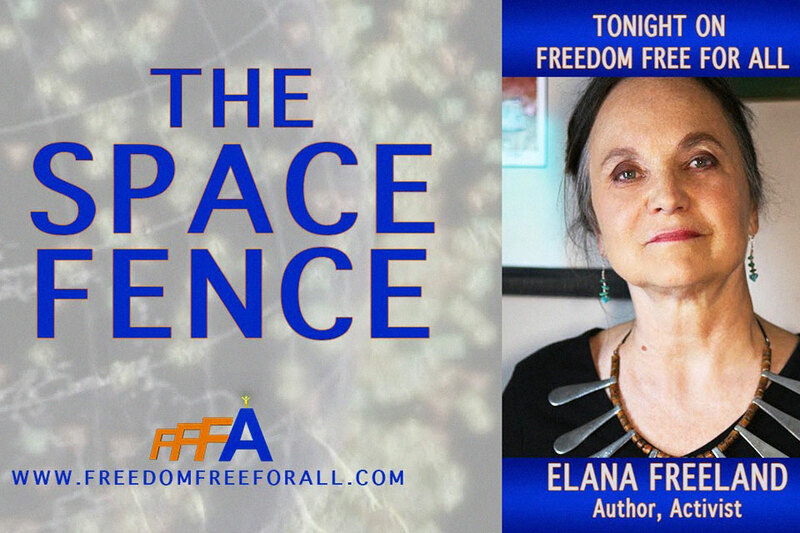 Elana will be discussing her understanding of the Lockheed Martin-run Space Fence, which many see as simply a few devices tracking space debris and perhaps some radar projects. Her contention is that the Space Fence is actually far more significant, entailing control and surveillance reaching all the way into our nervous systems via a geoengineered delivery system and the now WiFi ionized atmosphere. Rey Hernandez comes to UPARS LA! Reinerio (Rey) Hernandez is one of the four co-founders of The Dr. Edgar Mitchell Foundation for Research into Extraterrestrial and Extraordinary Experiences and a Co-Chair of the FREE Experiencer Research Committee. FREE was co-founded by the late Apollo 14 astronaut Dr. Edgar Mitchell, Dr. Rudy Schild, an Emeritus Research Astronomer at the Harvard/Smithsonian Center for Astrophysics, Australian researcher Mary Rodwell and Hernandez, an attorney and experiencer. Bring your favorite Holiday Dish, and come join us for our traditional Holiday Potluck! Share some good 'ol fashion UPARS LA camaraderie, tell some stories, and gather to view filmmaker Jeremy Corbell's acclaimed documentary "Hunt for the Skinwalker", destined to be a Christmas Classic! UPARS LA is proud to invite you to an evening hosted by filmmaker Jeremy Corbell and Bob Lazar, join us for the world premiere of this explosive documentary narrated by Oscar nominee Mickey Rourke. Former Government physicist Bob Lazar made headlines world-wide in 1989 when he came forward with his account of reverse-engineering an alien spacecraft for the US Military. The reason the public even knows the name Area 51 is because Lazar talked about the work he did at the formerly secret military base. Matt is an EXPERT on the legendary Sasquatch of North America, and is well versed in its habits and habitats. Matthew Mordovanec is the creator and curator of the hit YouTube channel "Mattsquatch Presents". Jordan Sather comes to UPARS LA! Jordan will be speaking to us on the creation of the secret space program/black projects from WW2 onward, with an emphasis on technology and resource acquisition, culminating with an examination of the current politician climate in disclosing these illegal, covert programs and other Deep State crimes against humanity. Filmmaker Steve Neill & Whitley Strieber debut "There's Something There"
Steve Neill is a special effects makeup artist, filmmaker, puppeteer, model maker and visual effects (VFX) artist in film and television with a career spanning over 35 years. Steve is currently in production at SNG Studio for “But Something is There” produced by Steve Neill, Paul Gentry, Whitley Strieber and Mary Cacciapaglia. Tonight, Steve will debut never seen before Episode 1 of this 10 part series, especially for UPARS LA. Renowned abduction researcher Yvonne Smith will introduce Steve and the film. We will play the film and follow with Q& A from the audience. Paola Harris comes to UPARS LA for the first time! Investigative Journalist Paola will share her research about the more intriguing and mysterious type of reported aliens are the ones who appear to be humans, or at least of a human-like species,dating back to the 1950s and ’60s. Clifford Mahooty comes to UPARS LA! Clifford Mahooty is a Zuni Pueblo Indian elder, and member of the tribal orders of the Kachina Priest hood, Galaxy medicine society, Sun Clan, and wisdom keeper of the Zuni history and spiritual practices. Stephen Bassett comes to UPARS LA! Stephen Bassett is the executive director of Paradigm Research Group founded in 1996 to end a government imposed embargo on the truth behind the so called “UFO” phenomenon. Stephen has spoken to audiences around the world about the implications of formal “Disclosure” by world governments of an extraterrestrial presence engaging the human race. Sean Bartok comes to UPARS LA! Sean Bartok, who will be with us in April, has had many abduction experiences over several decades that affected not only him, but his wife and children as well. He will be talking to us about his family’s numerous experiences with aliens and the paranormal. Many think the government is about to disclose what it knows about UFOs. Others believe the government is doing everything in its power to keep the UFO reality a secret. The truth is that those who control the UFO secret are doing neither. The secret-keepers are gradually disclosing this information via an acclimatization process, based on advice given by military think tanks that have looked at the issue. Suzy has been actively involved in UFO research and sighting investigations for 43 years and is the founding Director of the UFO Focus New Zealand Research Network (UFOCUS NZ) established in 2000, a nationwide organisation. As Director of UFOCUS NZ, Suzy lobbied the New Zealand Chief of Defense Forces during 2009-10, for the release of the NZ Ministry of Defense UFO files, which occurred in 2010 and 2011. Unraveling the Cattle Mutilation Mystery! Since 1605, tens of thousands of cattle and other animals have been documented as being mutilated in pastures and on farms around the world. Missing various soft-tissue organs, and no clues are present at the crime-scene to aid investigators. Who or what is behind these unexplained animal deaths? One of the world’s foremost animal death investigators, Christopher O’Brien, takes you inside one of the most perplexing serial crime sprees of all time. Bring your favorite dish to share! Longtime UPARS LA friend David Jacobs will be with us in December. NOTE: WE ARE MEETING A WEEK EARLY AGAIN! 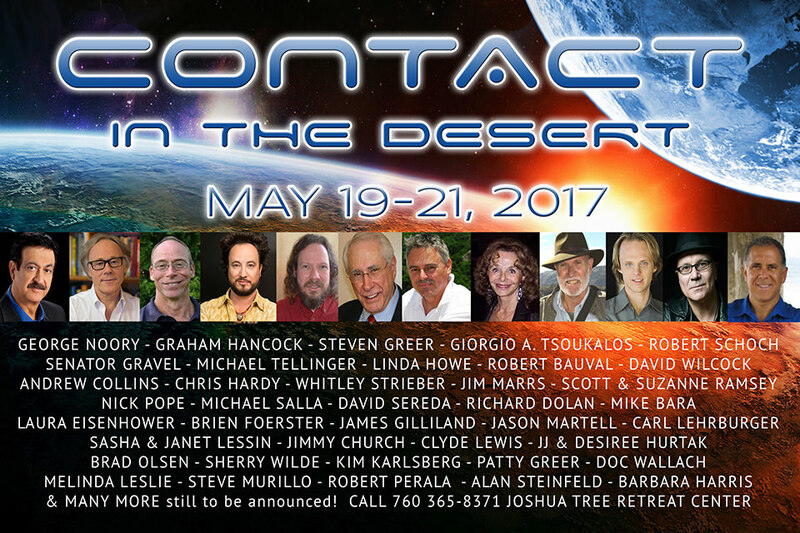 Jacobs has been a UFO researcher since 1966 and is the pre-eminent UFO abduction researcher in the country. Jacobs will discuss material from his book, Walking Among Us, including descriptions of the procedures involved in acclimatizing hybrids to life on Earth. A longtime friend of UPARS LA, will be a presenting a history of reports of very large, cigar-shaped spacecraft that have been seen in the skies and in orbit around Earth. Are these craft of extraterrestrial origin --or are they man-made? Don Schmitt proves Roswell Witnesses harassed and "disappeared" ­ According to this longtime Roswell researcher, something sinister was afoot at Roswell, something targeting innocent children. More information about this will be revealed in this presentation. Don Schmitt is the author of six books on Roswell. Tim “Coonbo” Baker and Jim “Bear” King have been hunting this elusive, but very real creature for over 40 years each, and researching together for the past 18 years. Over these past four decades, they've discovered some astounding things about these creatures that few people know. Jo Ann Richards will speak about the military’s Secret Space Program, including the ships of the Deep Space Fleet, interstellar/inter-species treaty conferences on Earth, non-human species who work with the military, Mark Richards’ training with the Raptor Imperial Fleet and various on-and-off Earth missions to defend humanity. From the 19th Century to 2016, there have been high strangeness reports of symbols on unidentified aerial craft and in crop formations. Some of those high strangeness cases have also included binary code that has been translated. There have been a few similarities in symbol patterns and repeating themes in the binary code in which Something warns about threats to human survival. UFO researcher Preston Dennett, will present all brand new, never-before-published cases from his new book, “Inside UFOs.” What is the alien agenda? Why are they here and what are their plans for humanity? Are they friendly or hostile? Using firsthand testimonies from the witnesses themselves, Dennett will answer these questions and more. Anthony Sanchez is the author of the explosive book, UFO Highway, and the founder of Umbra Research, a group dedicated to understanding the hidden aspects and mystery behind the UFO/ET phenomenon and various aspects of paranormal science. Paul Stonehill will be presenting the latest developments and updates from Russia, Ukraine and Central Asia. This will include information on both UFOs and USOs, Mysteries of the Kuril Islands, UFO encounters with Cosmonauts and much more! Award winning author and researcher, Raymond Szymanski, is currently the undisputed expert on Wright-Patterson Air Force Base and its heralded connection to extraterrestrials. Recently published book Fifty Shades of Greys: Evidence of Extraterrestrial Visitation to Wright-Patterson Air Force Base and Beyond. Alex Mistretta led a team of intrepid field researchers into the wilds of the great Northwest - into the timbers of Washington state, to be exact. They were in search of something that many believe doesn't exist - the elusive Big Foot! Mike Bara comes to UPARS LA! Mike Bara is a New York Times Bestselling author, lecturer and TV personality. He began his writing career after spending more than 25 years as an engineering designer/consultant for major aerospace companies, where he was a card-carrying member of the Military/Industrial complex. Ben Hansen has become well-known in the UFO field for his focus on video and photo analysis, often providing commentary for stories in the Huffington Post "Weird News" column. With a background in law enforcement, Hansen also instructs UFO investigators in forensic interviewing and is often called upon to provide his opinion on the veracity of witness interviews and statements. Within the past few years, Hansen has broadened his focus to analyzing the statements of politicians in regards to the UFO subject. Nick Redfern is the author of 38 books on UFOs, lake-monsters, the Roswell UFO crash, zombies, and Hollywood scandal, including Men in Black, Chupacabra Road Trip, The Bigfoot Book and Close Encounters of the Fatal Kind. Nick has appeared on many TV shows, and he lectures on these subjects around the world. YouTube Live / join our meetup gathering of over 1400 followers!